Do you have a guide I can send my renters so they can start paying on Cozy? Yes! You can share this 1-page guide with your renters to introduce Cozy and answer commonly asked questions about paying rent online. 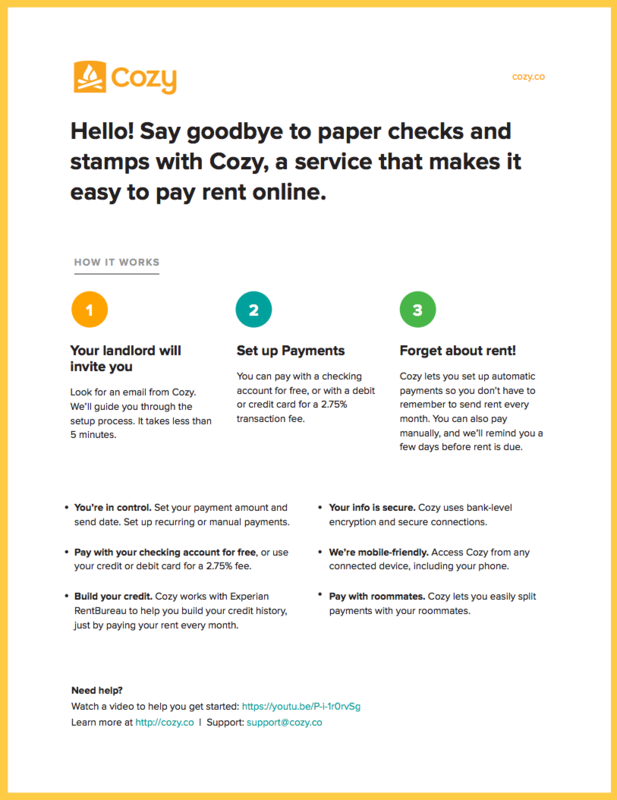 How do I invite my tenant to start paying on Cozy?